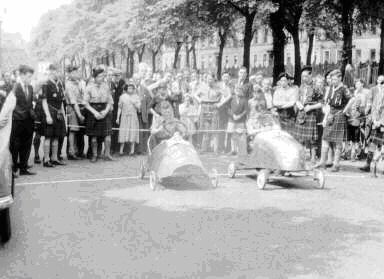 Great 1952 photograph of Boy Scouts 'racing' in Greenhead Street. Interesting site. 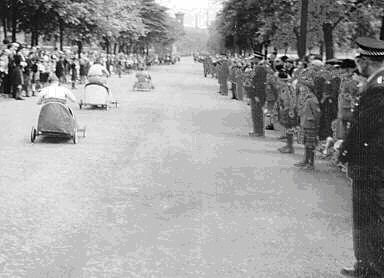 The photograph of Scouts racing was the "SOAPBOX DERBY" & raced annually for a few years. 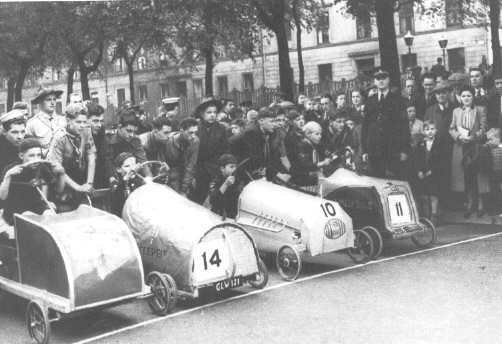 I think I was the driver of car no 10 and came second to car no 11. 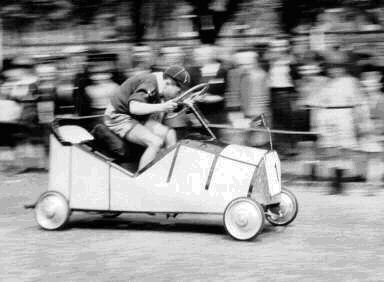 I would have been about 14 yrs old at the time. 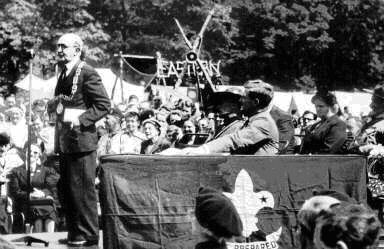 My scout troop was the 169 Glasgow situated in Knightswood. 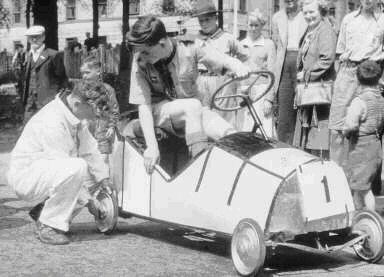 I seem to recall that we won the best construction prize and were annoyed as we considered that the winning car was really a bicycle with a box frame thus more pressure could be applied to the pedals. From the photograph you will see that the driver is high up.